The Börger Bioselect digestate separator has become a top choice for operators seeking solid/ liquid digestate separation, and all AD Plant operators need this technology at the outlets from their biogas reactors. When operators understand how outwardly simple the Boerger Bioselect BS 50 digestate separator is, it is not long before they come to accept it as the ideal machine for separating their fibre solids from the leachable digester liquid. Make no mistake about it, the device may look simple, requiring no more than a power supply, electric motor, and a specially designed rotary lobe/ screw pump system with a screen/ filter, has demanded some highly sophisticated development. 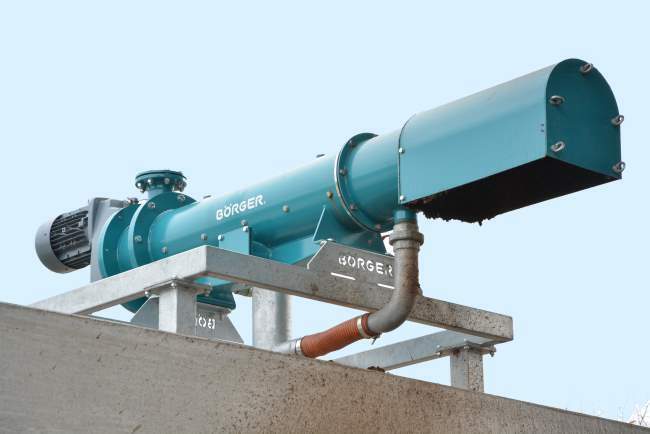 The result is that the Börger Bioselect digestate separator stands for efficient separation technology, an low maintenance costs for the users of their technology. Using a purely mechanical process, liquid parts are separated from solid parts in the medium (such as digestate or liquid manure). The Bioselect BS digestate separator is a combination of the separation machine and two Rotary Lobe Pumps. These three drive units are joined with a special control unit with various control and safety components. The separator is load-triggered. 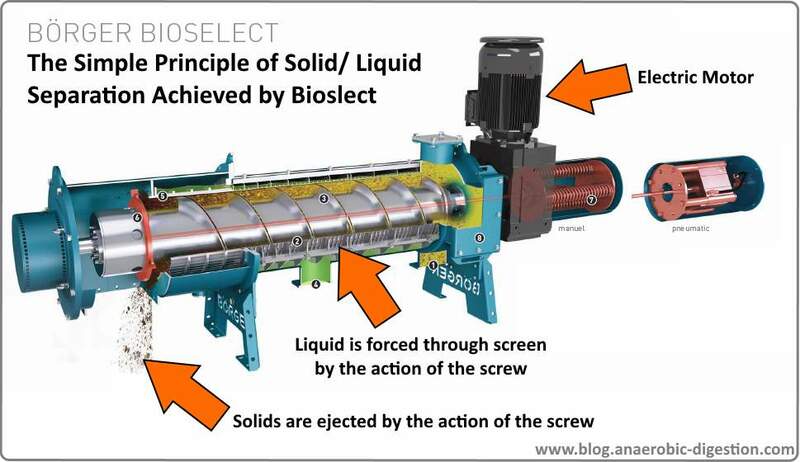 The feed pump only conveys the volume which the Bioselect BS is able to process. The high density solids discharge pump determines the degree of thickness. If required, the user can thicken for example 4% DS content liquid manure into 12% DS making it suitable for a tanker. Likewise, pig and cattle liquid manure as well as fermentation residue can be thickened to for example 22%, without making any mechanical adjustments to the machine. The BS 50 can be easily integrated into an existing system. Equally, this compact solids/liquid separator can also be used as a mobile unit in existing and new plants. Furthermore, the Bioselect BS can achieve throughput volumes of up to 60 m³/h and continue to run at those rates for long periods. While practicing social responsibility is rarely profitable in the same way as cheap production and low wage costs, but business owners should do it more as it pays in other areas of the business. The rise in consumers looking for green brands, or brands that align with various other causes, has led many companies to strongly market their sudden good intentions. 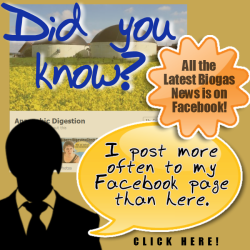 But isn’t anaerobic digestion in the same league?